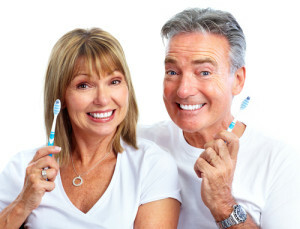 Over the last few decades, it has become more and more apparent that the health of your mouth is connected to the health of your body. Recent studies lend even more credence to what dentists have been telling patients for years: it is critical to keep your gums as healthy as possible and have gum disease treated as quickly as you can. Gum disease and periodontitis have been linked to an increased risk of many types of serious and life-threatening conditions, including heart disease, stroke, diabetes, cancer, and other concerns. The reason for this may be due to the systemic inflammation caused by unhealthy gums. A study from Orebro University in Sweden found that a bacterium associated with gum disease, called P. gingivalis, changes the expression of genes that stimulate inflammation and atherosclerosis in coronary arteries, which supply blood to the heart. Atherosclerosis is characterized by a hardening of the arteries after being clogged with fats, cholesterol, and other materials. Other studies have shown P. gingivalis to be present in patients who had heart attacks. When it comes to diabetes, the American Academy of Periodontology says that individuals with diabetes are more likely to develop gum disease, likely because diabetics can contract infections more easily than others. Periodontal disease may also make it harder for those suffering from diabetes to keep their blood sugar under control, and increase the risk for diabetes-related complications. Here at Beautiful Smiles, our experienced dentist, Dr. Harold A. Pollack and his two dental hygienists, offer non-surgical periodontal treatments that can reduce bacteria in the gums and help prevent gum disease from getting worse. We will check for signs of gum disease during routine exams and teeth cleanings and talk with you about your options if any are found. If you are experiencing bleeding, red, painful, or swollen gums, or if you are noticing gum recession or looseness of your teeth, we encourage you to schedule an appointment as soon as possible.